A trial involving an accident and subsequent injuries on a Mardi Gras float has been continued without date after the New Orleans Police Department (NOPD) and an unidentified insurance company were added as defendants. Michael and Kim Duplantier are suing the Krewe of Pygmalion, Paidia Club Inc. (doing business as the Bards of Bohemia-BOB) and NOPD, after the float the couple was riding on crashed into a tree and allegedly cause debilitating injuries to Michael Duplantier. A bench trial set for Jan. 10 had originally been listed on the docket. Judge Robin Giarusso is overseeing the case. Assistant City Attorney Detrich Hebert is representing the city of New Orleans and NOPD. Metairie attorneys Michael Futrell and Cy Lowe are representing Pygmalion and their insurer, Scottsdale Insurance Co. Local attorney Thomas Schwab is representing the Bards. Gretna attorney James Shields Sr. filed the original petition for damages in June 2005. The suit claims that, “a series of negligent, reckless decisions was made” by the NOPD and Pygmalion officials by trying to get the float to catch up to the rest of the parade. The suit claims that the NOPD and Pygmalion were negligent in allowing the float to travel at excess speeds to try and catch up to the parade and that the accident is a direct cause of that decision-making. The Duplantiers claim were riding on a Mardi Gras float in January 2005 owned by the Krewe of Pygmalion and contracted to the Bards of Bohemia when the tractor which was pulling the float experienced a flat tire. After several delays in repairing the tractor, the float tried to catch up to the parade, which had already left and, in the process of passing a cleaning crew, struck a tree’s overhanging limbs causing the top section of the float to break and fall on top of Michael Duplantier, causing “crippling” injuries to his spine. Entergy Corp. was originally named as a defendant in the suit – the New Orleans electricity provider is charged with clearing overhanging limbs on Mardi Gras parade routes – but the plaintiffs filed motion to dismiss Entergy without prejudice in July 2006. I love Texas for many reasons, # 1- my wife of 36 years is from TX. Don’t miss the revelry at Mardi Gras! Galveston! The island comes alive with 11 extravagant parades, more than 50 galas and festive events, bead throwing, exhibits, live entertainment in local clubs, and the best Gulf Coast cuisine in the world. One of the most popular annual events to take place in Texas, the event is rich with laughter, celebration and people watching. There is something for everyone including a beachfront carnival, shopping, and nightlife featuring everything from Cajun and salsa to jazz and rock and roll. Rich in history, Mardi Gras! Galveston celebrates its 100th event since it’s inception in 1867. Make your mark in history – attend Mardi Gras! Galveston 2011! Twelve days of fun and entertainment! Beginning on February 25 and it’s not over until the Fat Lady sings! Fat Tuesday, March 8. As part of the family entertainment, there are a number of beachfront and Strand parades ranging from the lavish Knights of Momus Grand Night Parade, Krewe of Gambrinus and Krewe of Aquarius parades; Fire truck Parade, Krewe of Barkus and Meoux (pets and their owners), Children’s Parade (kid size floats with small fry bead throwers), Bicycle Parade and Truck Parade. 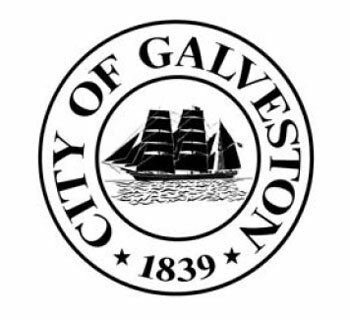 Galas include the Annual Treasure Ball Pageant, benefiting Galveston Catholic Schools; Special Peoples Ball, benefiting people with special needs; and Royal Krewe of Barkus & Meoux, benefiting the Galveston Island Humane Society. In addition, there is the renowned San Luis Costume Contest and a whole host of black tie galas at the San Luis Hotel and Resort and the Tremont House. One of the most popular participants of Galveston Island’s annual celebration, the Philadelphia Mummers, will return in full regalia to the pre-Lenten festivities. Dressed in brilliant ornate costumes, the forty-five member group of strings, banjos and horns, will lead off the Mardi Gras festivities and perform during various events. A spectacle not to be missed, their performance is an Island tradition. Galveston’s first recorded Mardi Gras celebration, in 1867, included a masked ball at Turner Hall (Sealy at 21st St.) and a theatrical performance from Shakespeare’s “King Henry IV” featuring Alvan Reed (a justice of the peace weighing in at 350 pounds!) as Falstaff. The first year that Mardi Gras was celebrated on a grand scale in Galveston was 1871 with the emergence of two rival Mardi Gras societies, or “Krewes” called the Knights of Momus (known only by the initials “K.O.M.”) and the Knights of Myth, both of which devised night parades, masked balls, exquisite costumes and elaborate invitations. The Knights of Momus, led by some prominent Galvestonians, decorated horse-drawn wagons for a torch lit night parade. Boasting such themes as “The Crusades,” “Peter the Great,” and “Ancient France,” the procession through downtown Galveston culminated at Turner Hall with a presentation of tableaux and a grand gala. Not to be outdone, the Knights of Myth also sponsored a spectacular parade, which, according to a newspaper account, “suddenly sprang out of the bowels of the earth with torch lights, cars and horses.” This parade featured “Pocahontas,” “Scalawag’s Enemies,” and “Bismark’s Grand Band,” and ended at Casino Hall with similar themes and a gala. In the years that followed, the parades and balls grew more elaborate, glittering with pomp and splendor and attracting attention throughout the state. So grand were plans for the 1872 celebration that newspaper reports declared that this Mardi Gras “promised to eclipse anything ever attempted on Texas soil.” The newly constructed Tremont Opera House, decorated with hundreds of caged canaries “trilling their gladsome voices,” provided a luxurious venue for the staging of tableaux (based on “The Pleasures of the Imagination”) and the evening ball. By 1873, visitors from around the state were attending the festivities. Among them were Governor E.J. Davis and a party of state officials and legislators who rode in the Mardi Gras parade that year. Dubbed “The Eras of Chivalry,” the parade boasted brilliantly decorated floats fashioned after campaigns and characters from the 6th through the 15th centuries. By 1880, the street parades proved too extravagant and expensive to continue. However, Mardi Gras masked balls continued to flourish through the end of the century. In 1910, the carnival parades were revived by an organization called the “Kotton Karnival Kids,” a group charged with staging parades for both Mardi Gras and the Galveston Cotton Carnival. This group gave its first dance on February 24, 1914, an historic date marked by Galveston’s first snowfall in 19 years. In 1918, due to the outbreak of World War I, the coronation was canceled and the celebration of Mardi Gras confined to a single day, but the festivities and the coronation of King Frivolous resumed the following year. Until 1928, the Kotton Karnival Kids-who eventually changed their name to Mystic Merry Makers-continued to sponsor Mardi Gras parades and balls. Themes in those years included “Dante’s Inferno,” “Song and Story,” “The Passing Show,” and “Events of the Year.” The expense of producing the parades and celebrations forced the group to discontinue their sponsorship in 1929, but the Galveston Booster Club saved the day on short notice and continued to sponsor Mardi Gras events until merging with the Galveston Chamber of Commerce in 1937-at which point Mardi Gras came under the Chamber’s authority. Brilliant and lavish carnivals were celebrated through February 1941, when shortages of men, material and a full commitment to the defeat of the Axis powers by the citizenry of Galveston caused the demise of Mardi Gras on the Island. For nearly 40 years, the annual celebrations were of a private nature, including those hosted by the Maceo family, the Galveston Artillery Club, the Treasure Ball Association and Holy Rosary Catholic Church. In 1985, native Galvestonian George P. Mitchell and his wife, Cynthia, launched the revival of a citywide Mardi Gras celebration. The Mitchells had long dreamed of restoring the Island’s splendid tradition, and the grand opening of their elegant Tremont House hotel in the historic Strand District provided the spark to do so. 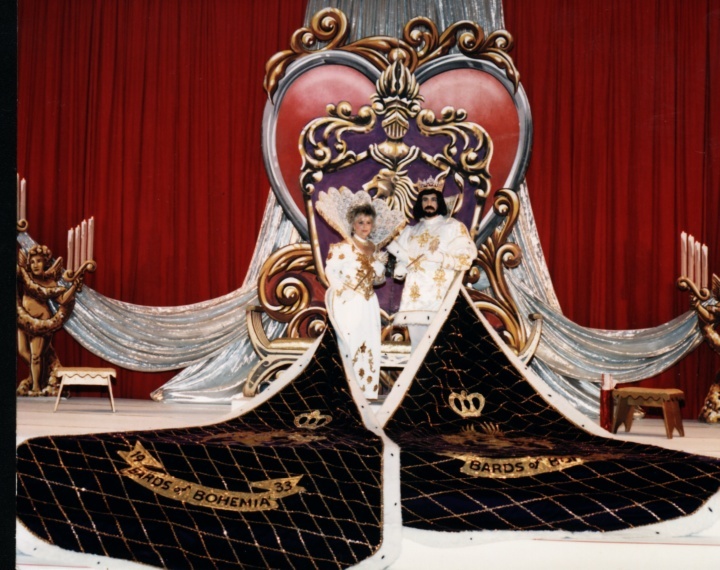 The first year’s spectacular revival featured a mile-long Grand Night Parade saluting “The Age of Mythology.” Nine dazzling floats created by renowned New Orleans float-builder Blaine Kern and hundreds of musicians in marching bands were led by famed jazz clarinetist Pete Fountain through The Strand to the delight of 75,000 cheering spectators. A gala ball, the first Galveston Artwalk and musical performances rounded out a week of festivities. That same year the 1871 Knights of Momus were revived by several Galvestonians and continues today. Mardi Gras! 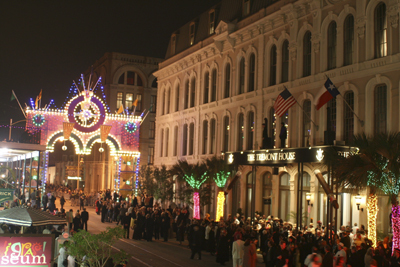 Galveston now annually attracts as many as 250,000 revelers throughout the island, which provide a significant boost to the island’s midwinter economy. Enter to Win “Mega Mardi Gras! Madness” Sweepstakes, & Ride in Momus Parade! That’s Galveston, TX, NOT the more famous cousin this blog is obsessed with, the New Orleans Mardi Gras. To celebrate the 100th Celebration of Mardi Gras! Galveston this winter, Galveston.com & Company is pleased to kickoff a special “Mega Mardi Gras! Madness Sweepstakes.” Beginning Friday, November 12th, and continuing until February 11, 2011, visitors to this page are invited to fill out the form below to enter the sweepstakes. One entry per person, please. Multiple entries will be disqualified. Friday, February 11th, Galveston.com & Company staff will then randomly draw the winner from the entries provided, and the lucky winner will receive a “Mega Mardi Gras! Madness” celebration that they’ll never forget, compliments of The San Luis Resort, Spa, & Conference Center! Enjoy two nights’ luxurious accommodations at the award-winning San Luis Resort, Spa & Conference Center overlooking the magnificent sandy beach and Gulf of Mexico. Upon arrival, your very own valet will whisk you away to your luxurious guestroom, where a Chef’s signature amenity awaits and a celebratory basket of souvenirs filled with Mardi Gras beads, boas, mask, doubloons and plush throws await. Friday, March 4th, the two of you will be The San Luis’s guests at the 15th Annual San Luis Salute “Midnight in Marrakesh” black-tie extravaganza offering a cocktail reception, three course seated dinner, a stellar band, special appearances, along with surprise entertainment and special effects throughout the night. The out-of-this-world gala is something you won’t want to miss! Saturday, March 5th, you’ll spend the afternoon relaxing poolside at a private cabana complete with residential style seating, flat screen television, light lunch and a bottle of select vintage. And indulge in a half-hour massage for two from our world-renowned Spa San Luis. That evening? You won’t WATCH Mardi Gras, you’ll BE Mardi Gras! You and your special Mardi Gras partner will ride on a float in the dazzling Grand Knights of Momus Parade along with the entertaining Krewe of Babalu, tossing beads and being a part of the genuine Mardi Gras! revelry. Mardi Gras! Galveston’s largest parade features numerous illuminated floats, dozens of marching bands, showers of beads, trinkets and specially minted doubloons. The festivities begin on Seawall Boulevard and proceed grandly and gloriously to the Historic Strand. Of course, no parade party would be complete without your own personalized cooler filled with selected brews and Jell-O shots to complete the festivities. Nestled within the resort is The Cafe Restaurant where you’ll dine like royalty each morning. The Cafe offers a culinary-inspired breakfast buffet with mouth-watering choices, and a signature bloody mary or mimosa. Mardi Gras, the traditional festival of feasting and merrymaking that precedes the season of Lent, has been publicly observed on Galveston Island as early as 1867 and later revived in 1985 by Galveston-born preservationist and developer George P. Mitchell. Since 1985, Mardi Gras! Galveston, as the event is now known, has grown dramatically in size and scope. Now expanding over two weekends, the event is coordinated by the City of Galveston in conjunction with 18 participating Krewes. Mardi Gras! 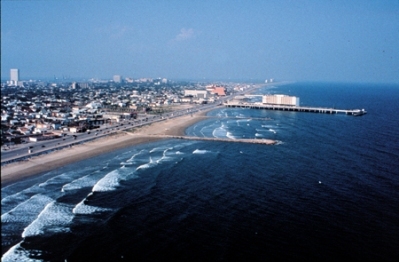 Galveston is celebrated with an entertainment district, parades, masked balls and art exhibits. 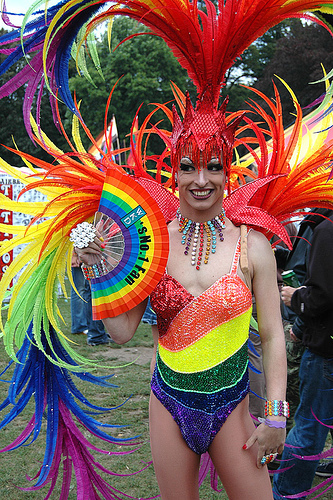 Galveston has also revived the tradition of celebrating a different theme each year. The “Mega Mardi Gras! Madness” Sweepstakes is sponsored by Galveston.com & Company, 523 24th Street, Galveston Island, Texas 77550, United States. The Sweepstakes is governed by these official rules. By participating in the Sweepstakes, each entrant agrees to abide by these Official Rules, including all eligibility requirements, and understands that the results of the Sweepstakes, as determined by Sponsor and its agents, are final in all respects. The Sweepstakes is subject to all federal, state and local laws and regulations and is void where prohibited by law. The Sweepstakes is open to legal residents of the fifty (50) United States and the District of Columbia, who are twenty-one (21) years of age or older at the time of entry who have Internet access and a valid e-mail account at the time of entry. Entrants must submit all required information to be eligible to win. Entries missing required information will be disqualified. Employees, officers and directors of Galveston.com & Company and The San Luis Resort and their respective parents, subsidiaries, agents and suppliers, as well as members of their immediate families (defined as parents, spouses, children, siblings and grandparents) and individuals living in the same household as those individuals are not eligible to enter or win. Sponsor and Administrator have the right to verify the eligibility of each entrant. The Sweepstakes begins November 12, 2010, and ends February 11, 2011 at 5pm CDT (“Sweepstakes Period”). You can enter the Promotion through filling out the above form on this page (http://www.galveston.com/megamardigras). After submitting the required information on the entry form, the entrant will receive one (1) entry into the drawing. Limit one entry per person during the Sweepstakes Period. Sponsor has no obligation to advise an entrant of an incomplete or otherwise non-compliant entry. Sponsor is not responsible for lost, late, invalid, unintelligible, incomplete, garbled, or misdirected entries, which will be disqualified. No mailed, telephoned, faxed, or mechanically reproduced entries will be accepted. Proof of submission of an entry will not be deemed proof of receipt. Receipt of entries will not be acknowledged nor will proof of submission of an entry form be deemed proof of receipt. In the event of a dispute as to any entry, the authorized account holder of the e-mail account used to enter will be deemed to be the entrant. The “authorized account” holder is the natural person assigned the e-mail account. Potential winners may be required to show proof of being the authorized account holder. All eligible entries received during the Sweepstakes Period will be entered into a sweepstakes drawing. One (1) prize winner will be randomly selected on the first business day after February 11, 2011. The potential prize winner will be notified through email. Each entrant is responsible for monitoring his/her e-mail account/phone for prize notification or other communications related to this contest. If a potential prize winner cannot be reached by Administrator (or Sponsor) within two (2) days using the contact information provided at the time of entry, or if prize notification is returned as undeliverable, that potential prize winner shall forfeit the prize. Upon the request of the Sponsor, the potential winner may be required to return an Affidavit of Eligibility, Release and Prize Acceptance Form and IRS W-9 form. If a potential winner fails to comply with these official rules, that potential winner will be disqualified. Prize may not be awarded if an insufficient number of eligible entries are received. Two night’s luxurious accommodations at the award-winning San Luis Resort, welcome amenity, basket of Mardi Gras souvenirs, two tickets to the 15th Annual San Luis Salute “Midnight in Marrakech” black-tie extravaganza, private poolside cabana for two with light lunch and a bottle of select vintage, two half-hour massages for two via Spa San Luis, two tickets to ride on a Knights of Momus parade float (Krewe of Babalu), and breakfast for two each morning at The Cafe. Gift card terms and conditions apply. Incidental expenses and all other costs and expenses which are not specifically listed as part of a prize in these Official Rules and which may be associated with the award, acceptance, receipt and use of all or any portion of the awarded prize are solely the responsibility of the respective prize winner. ALL FEDERAL, STATE AND LOCAL TAXES ASSOCIATED WITH THE RECEIPT OR USE OF ANY PRIZE ARE SOLELY THE RESPONSIBILITY OF THE WINNER. Prize is non-transferable. No substitution or cash equivalent of prizes is permitted; however, the Sponsor reserves the right to substitute any prize with another of equal or greater value. Sponsor and its respective parent, affiliate and subsidiary companies, agents, and representatives are not responsible for any typographical or other errors in the offer or administration of the Sweepstakes, including, but not limited to, errors in any printing or posting or these Official Rules, the selection and announcement of any winner, or the distribution of any prize. Any attempt to damage the content or operation of this Sweepstakes is unlawful and subject to possible legal action by Sponsor. Sponsor reserves the right to terminate, suspend or amend the Sweepstakes, without notice, and for any reason, including, without limitation, if Sponsor determines that the Sweepstakes cannot be conducted as planned or should a virus, bug, tampering or unauthorized intervention, technical failure or other cause beyond Sponsor’s control corrupt the administration, security, fairness, integrity or proper play of the Sweepstakes. In the event any tampering or unauthorized intervention may have occurred, Sponsor reserves the right to void suspect entries at issue. Sponsor and its respective parent, affiliate and subsidiary companies, agents, and representatives, and any telephone network or service providers, are not responsible for incorrect or inaccurate transcription of entry information, or for any human error, technical malfunction, lost or delayed data transmission, omission, interruption, deletion, line failure or malfunction of any telephone network, computer equipment or software, the inability to access any website or online service or any other error, human or otherwise. EACH ENTRANT AGREES TO INDEMNIFY, RELEASE AND HOLD HARMLESS SPONSOR AND ITS PARENT, AFFILIATE AND SUBSIDIARY COMPANIES, THE SOCIAL NETWORKING PLATFORM THAT HOUSES THE SWEEPSTAKES (must be released according to Section 3.7.2) ADVERTISING AND PROMOTIONAL AGENCIES, AND ALL THEIR RESPECTIVE OFFICERS, DIRECTORS, EMPLOYEES, REPRESENTATIVES AND AGENTS FROM ANY LIABILITY, DAMAGES, LOSSES OR INJURY RESULTING IN WHOLE OR IN PART, DIRECTLY OR INDIRECTLY, FROM THAT ENTRANT’S PARTICIPATION IN THE SWEEPSTAKES AND THE ACCEPTANCE, USE OR MISUSE OF ANY PRIZE THAT MAY BE WON. SPONSOR AND ITS PARENT, AFFILIATE AND SUBSIDIARY COMPANIES DO NOT MAKE ANY WARRANTIES, EXPRESS OR IMPLIED, AS TO THE CONDITION, FITNESS OR MERCHANTABILITY OF THE PRIZE. SPONSOR AND ITS PARENTS, SUBSIDIARIES, AFFILIATES, ADVERTISING AND PROMOTIONAL AGENCIES, AND ALL THEIR RESPECTIVE OFFICERS, DIRECTORS, EMPLOYEES, REPRESENTATIVES AND AGENTS DISCLAIM ANY LIABILITY FOR DAMAGE TO ANY COMPUTER SYSTEM RESULTING FROM ACCESS TO OR THE DOWNLOAD OF INFORMATION OR MATERIALS CONNECTED WITH THE SWEEPSTAKES. Requests for copies of these Official Rules or a winner’s list may be sent to Administrator, Attn: “Mega Mardi Gras! Madness” Sweepstakes, c/o Galveston.com & Company, 523 24th Street, Galveston, Texas 77550. This promotion is in no way sponsored, endorsed or administered by, or associated with, Facebook. You understand that you are providing your information to Galveston .com and not to Facebook. Now in its fourth year, Operation Overseas Mardi Gras plans to send 1,500+ boxes filled with Carnival supplies to the troops in Afghanistan & Iraq. If you are interested in sending your own box, email mardigras at soldiersangels dot org for the address. Cherry Blackwell of Destrehan is running the program this year, covering for Tawny Tallo, who is in Basic Training. 1. Go to the Post Office and get the 12″×12″ flat rate box that says APO and FPO. It is free. 2. Pick up Customs Declaration and Dispatch Note (2976-A). List everything in your box on the form in detail. 3. Fill the box with Mardi Gras themed items (no pork products, liquids or obscenity); throws (not jumbled together);costumes, LA inspired food products, costumes, Mardi Gras decorations, and cards made by kids. 4. Place a nice note in the box with your return address on it. 5. Write Soldiers’ Angels Operation Overseas Mardi Gras on the side of the box. 6. 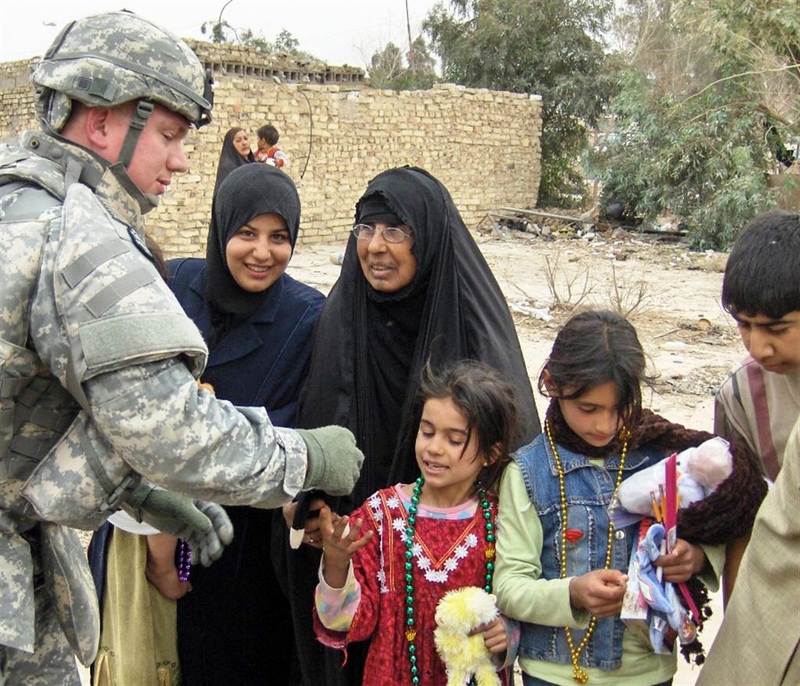 E-mail us at MardiGras at soldiersangels dot org and you will be given the address to mail the items. mail and you must be present to mail it.